Spotted this Checker Cab parked on Greenpoint Avenue in Brooklyn not too long ago. 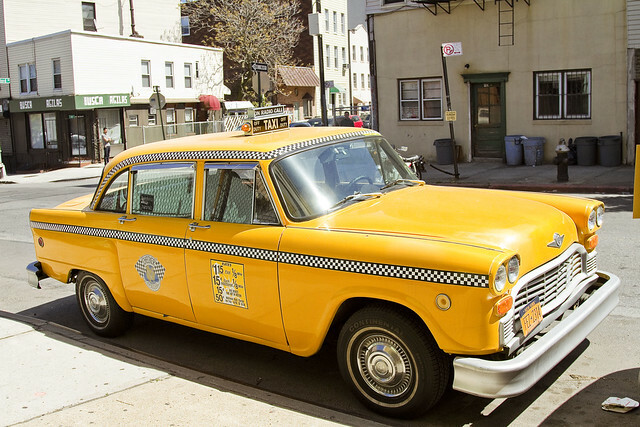 Checkers used to be the standard model taxi cab in NYC, back in the days of leaded gasoline. Getting my notes together for tonight’s sunset boat tour with Working Harbor Committee on the East River, so apologies for the lack of a proper post today, but a humble narrator has to be buttoned up when narrating humbly onboard a boat to hundreds of people. Come with? Tix link directly below.